The term “Lec-Dem” is shorthand for Lecture Demonstration, a type of performance put on, most often, by dance teachers and their students in places like hospitals, schools and retirement homes that involves demonstrating dance repertoire interspersed with brief explanation. Lecture Demonstrations are sometimes thematic, but more often include whatever various repertoire students have been rehearsing for larger shows. Likewise, Roulette’s lec/dem acts as a general framework for viewing live art, whether it be spoken research or movement-based performance. Each evening consists of one lec and two dems presented by artists working in and around the realm of contemporary dance. There is no binding conceptual content connecting spoken or danced work, and no causal or dependent relationship between the two. lec/dem is an open opportunity for dancemakers’ words to exist beyond talk backs and artist statements. It is a simple proposal that allows words and actions to coexist literally and texturally. Spatial Concept Study: Part B, an intimate site-specific performance installation, is an expression of color and sensation. Working with artist Lucio Fontana’s theory of spatialism, performers Ayano Elson and Rachel Pritzlaff labor through a field of red to create a self-conscious and disruptive new color. Supported by Eliot Krimsky’s live music, this trio is intended as a work-in-progress, created especially for the unique space of Roulette. Ayano Elson is a choreographer and designer in New York. She graduated from Connecticut College with a dual major in dance and art history. Ayano has recently performed in works by Kim Brandt, Glass Ghost, and Steven Reker at the Kitchen, Invisible Dog, Roulette, and Lincoln Center. Her own choreography has been presented at the New Museum, Gibney Dance, Movement Research, and AUNTS. The International Dyslexia Association prepared this fact sheet describing reasonable accommodations involving materials, interactive instruction, and student performance to will help with learning problems in general education and special education classrooms. Teaching students with dyslexia across settings is challenging. Both general education and special education teachers seek accommodations that foster the learning and management of a class of heterogeneous learners. It is important to identify accommodations that are reasonable to ask of teachers in all classroom settings. The following accommodations appear reasonable and provide a framework for helping students with learning problems achieve in general education and special education classrooms. They are organized according to accommodations involving materials, interactive instruction, and student performance. Millie Kapp is a New York-based artist. In 2013, she graduated with an MA in Performance Studies from NYU and completed her undergraduate degree in 2010 with a BA in Visual and Critical Studies from School of the Art Institute of Chicago. 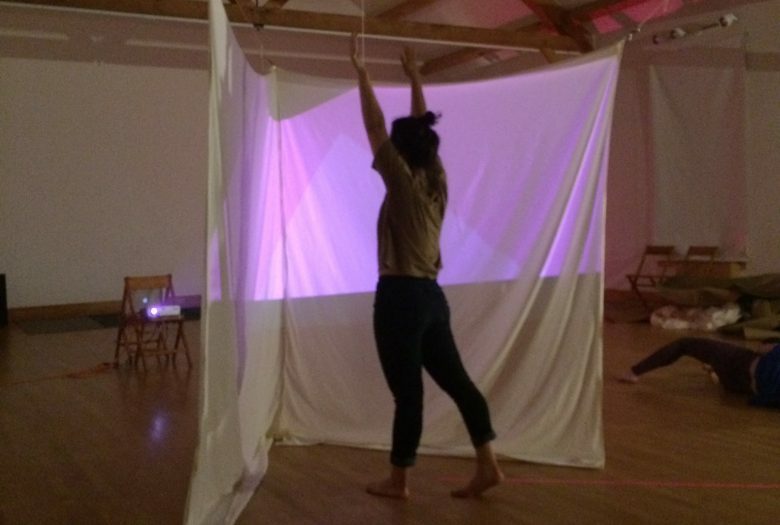 Kapp has presented her performance work in Oakland, Toronto, Minneapolis, Chicago and New York. She has programed performance events in New York at Abrons Arts Center, The Painting Center and Glasshouse Projects. She’s held residencies at the Chicago Cultural Center, Vermont Studio Center and is currently in residence with Chez-Bushwick. Most recently, she’s presented her work in New York at La MaMa, AUNTS, THROW at The Chocolate Factory and Panoply Performance Lab among other places. Noah Furman can bury dung 250 times heavier than itself in one night. Many dung beetles, known as rollers, roll dung into round balls, which are used as a food source or brooding chambers. Others, known as tunnelers, bury the dung wherever they find it. A third group, the dwellers, neither roll nor burrow: they simply live in manure. They are often attracted by the dung collected by burrowing owls. Dung Beetles can grow to 3 cm long and 2 cm wide. Jess Goldschmidt is a writer and choreographer. Her theater and performance work has been seen at CPR, Dixon Place, AUNTS, Standard Toykraft, The Wild Project, and the 2015 Edinburgh Fringe Festival. She has strong feelings about nostalgia, formalism, and the American musical theater tradition. She lives in New York City. Ethan Philbrick is a performer and writer currently completing a PhD in the performance studies program at NYU. His performances have recently been scene in New York at SculptureCenter, BRIC, and Le Petite Versailles, and his writing has recently been published in TDR/The Drama Review and PAJ: A journal of performance and art.